I’m Going to Make You a Star! Or… you can make yourself a star after an immense amount of hard work. This is not meant to be discouraging; in fact, quite the opposite. 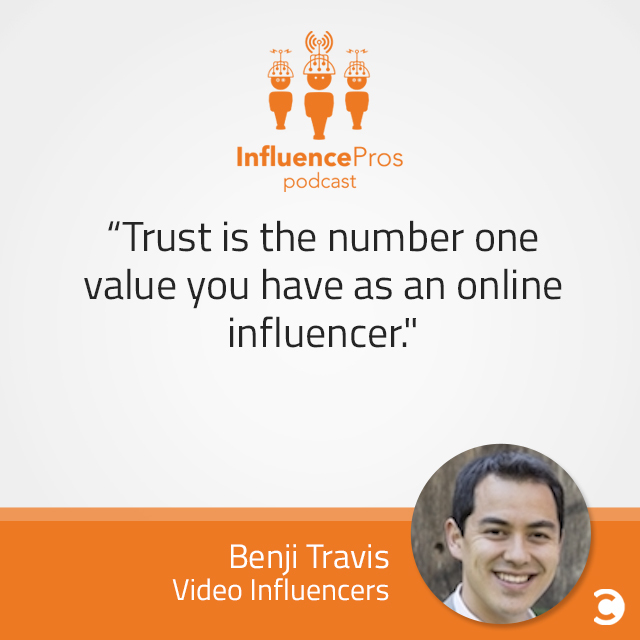 Benji Travis and Sean Cannell believe that a highly successful life in video influencing is more attainable than ever. With the right blend of hustle, passion, and savvy smarts, anyone can make themselves into a YouTube regular. And while video influence marketing is a new venture, Benji and Sean are here to help you build income, influence, and impact by honing in on your niche marketing and video skills. They interview some of the world’s top influencers and do a lot of personal coaching and consulting to bring you the hottest tips today. In the News: Influencer Marketing Is Becoming a Joke: What Can Brands Do About It? Would you rather have a one-minute conversation with your past self or with your future self? Benji: Definitely my future self, because I feel there’s not a lot you can actually do about your past, but your future is still yet to be told. Sean: I’m going to flip it. I would definitely talk to my past self just for pure upside. I would take 60 seconds of efficient stock information, like world trends and I would go back to my past self and I would just hook it up for me and my family. Would you rather be able to see in the dark, or see through walls? Benji: Definitely see through walls because I’m usually sleeping at night. So seeing through walls would be amazing. Sean: I totally agree with Benji. I’m always thinking of strategy. I’m like what kind of information am I not allowed to see that I can start getting with this and then how can I tie that into getting results for something. Would you rather know what your pets think of you or what your high school teachers thought of you? Benji: Well, I don’t currently have a pet right now. I think it would just be entertaining to know what my teachers thought of me because I wasn’t the model student. Sean: My wife and I actually had two Chihuahuas. I don’t think I would choose teachers because I want to be encouraged. I always like good news, and I don’t know if that would be good news.